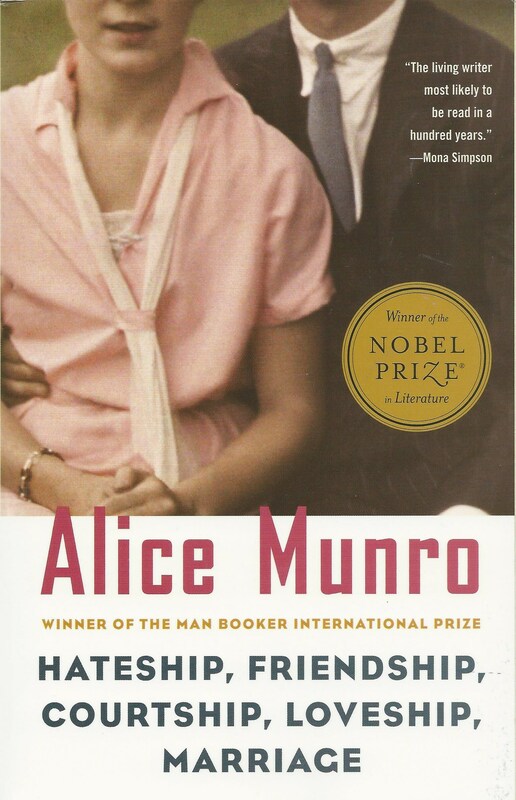 Short Story Nobel Prize-winning author Alice Ann Munro was born in 1931 in southwest Ontario Province, Canada. She grew up in that area, eventually attending college and settling with her husband in British Columbia. 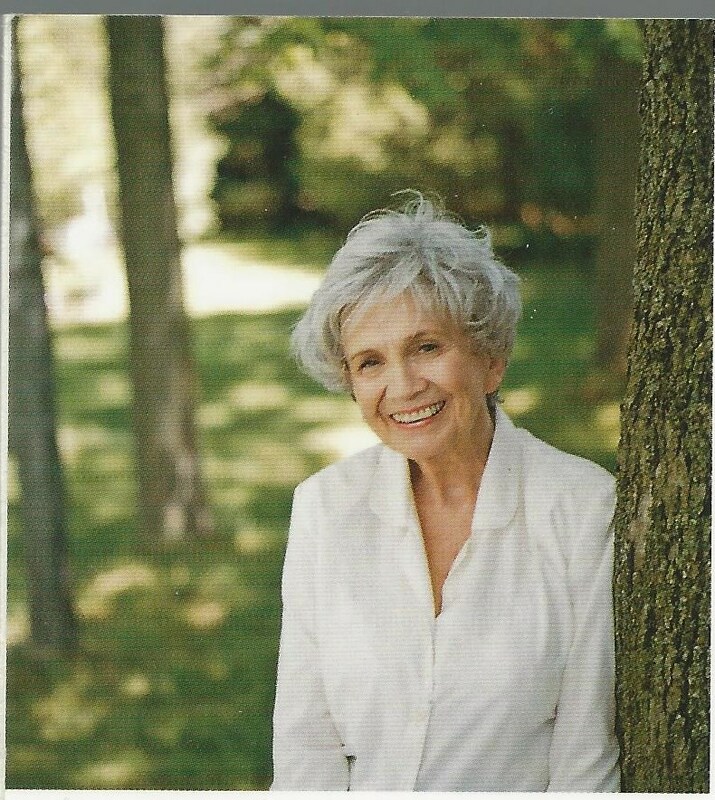 Alice Munro. Beautiful smile, yes? Munro uses her familiarity with the Ontario province as the setting for many of her stories. Like so many authors I admire, she pays tribute to her ‘sense of place’ with rich details about the region’s natural settings. The stories in the collection I am reading, titled Hateship Friendship Courtship Loveship Marriage focus on middle-aged and elderly relationships. Although Munro doesn’t specify, the stories seem likely set no later than the 1950s. I didn’t cut off their heads! Munro’s father was a fox and mink farmer. My favorite story in the collection, “Nettles”, is a story told by a young daughter of a fox and mink farmer who befriends the son of an itinerant well-driller during the summer a well is being drilled on her father’s farm. The daughter does not realize how abruptly she will lose all communication with her close companion when the well has been drilled and the driller takes his son with him to his next job. A chance encounter between them as adults is as realistic and poignant as those many of us have experienced in our lives. While never specifically mentioning regrets, what-if’s or what-is, these are universal human feelings subtly expressed through Munro’s quiet writing.. I felt as if I was drifting in a canoe down a lazy river watching the subtle interactions between humans that so shape our lives even when we don’t realize it until the moment is long gone. Love, work, family – any one of those can fail, and time marches forward in ways not always conducive to happy endings. 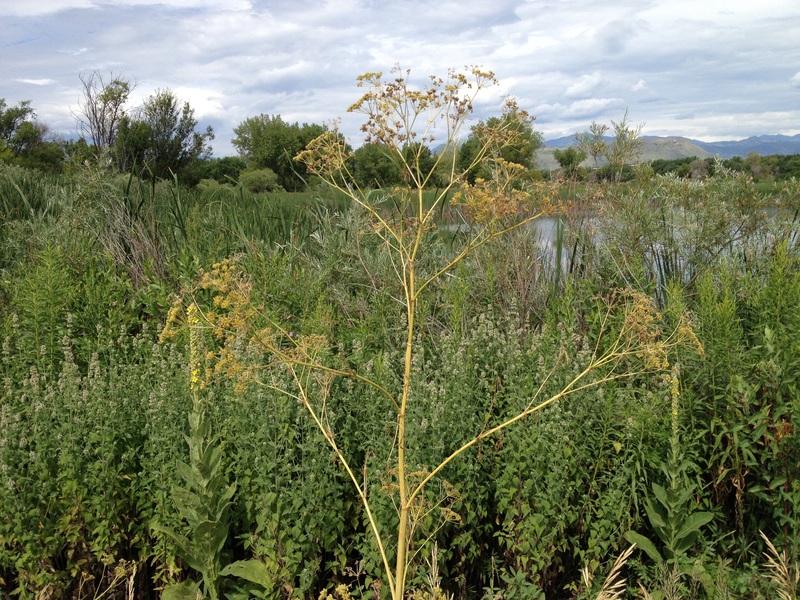 Our farm was small – nine acres. It was small enough for me to have explored every part of it, and every part had a particular look and character, which I could not have put into words. It was easy to see what would be special about the wire shed with the long, pale horse carcasses hung from brutal hooks, or about the trodden blood-soaked ground where they had changed from live horses into those supplies of meat. But there were other things, such as the stones on either side of the barn gangway that had just as much to say to me, though nothing memorable had ever occurred there. On one side there was a big smooth whitish stone that bulged out and dominated all the others, and so that side had to me an expansive and public air, and I would always choose to climb that way rather than on the other side, where the stones were darker and clung together in a more mean-spirited way. Each of the trees on the place had likewise an attitude and a presence – the elm looked serene and the oak threatening, the maples friendly and workaday, the hawthorn old and crabby. Is it any wonder a nature-lover like me thinks Alice tells a good story? Soulful humming for the dog days of August. I love your description of being in canoe on a lazy river. I love the notion of a lazy river. This is how books should be reviewed Sammy. Nice job. Love, love, LOVE Alice Munroe. She lives not too far away from me now, having returned to Ontario. I’d say that I’d love to meet her, but I get so easily starstruck, it’s mortifying for all parties. Maggie, I’m glad she’s one of your favs. Her stories are the kind that don’t give me much jolt as I read them, but I find myself humming them for days afterwards (if that makes sense). Thank you, Carrie. It’s one reason I enjoy the posts from other bloggers about what they are reading. We can’t read them all, but we can briefly ‘meet’ the authors and their writing, and appreciate that small gift. I think of it as being in my on-line library – perusing the stacks even though you can’t select every book. I just read it! nettles was my favourite too. These stories are so familiar, feel so Midwest. Great post! Thank you, Ellen! How coincidental, but not surprising, we both like Nettles best! I imagine it’s a feast for you to be reading other short story authors as you develop your own voice and techniques. If you haven’t read any Wallace Stegner, I highly recommend him. Two nights ago, my wife and I watched the film “Hateship, Loveship” adapted from Ann Munro’s short story. It was equally painful as it was delightful. I had no idea there were any film/tv adaptations. I will seek that out. That story was very painful indeed. And so very human. Thank you, Greg for being such a constant reader. I value your feedback. “…find myself humming them for days…” Yes…I have what you have..”humming memories”. Just didn’t know what to call it. Aren’t we lucky Sammy found the right words? 💜 I always tell it like I see it! I’m chuffed 😍. I wish postage didn’t cost more than the book. I’d send you my copy! Great…now I have “I think I Love You” stuck on ‘repeat’ in my head. A great review…you’ve inspired me to delve into Ms. Munro’s work. And I’ll be curious to see what you think of Edward Abbey…he was something of an inspiration back when I was piloting those VW vans across the country. Probably not as subtle as Munro…more of a white-water raft trip than a drifting canoe, but everyone has their place. LOL What was Raye thinking, sneeking David Cassidy into our humming ?!? I think I love HER! I am over the moon about how much I’m enjoying Abbey’s Desert Solitaire. Can’t wait to write my synopsis of Proulx then him. Must be synchronicity between your Vee-bugs and the timing of me reading him because you are one of the people I have been thinking about throughout his book. For many reasons. I know. Anytime I see Raye’s colorful frames and twinkling eyes in my ‘like’ screen, I get a warm glow. Then I know I’ve written a worthy piece. Me too! I get myself a cup od something and get comfy so I can immerse myself in the world she creates. Thank you, Dale! I have no idea what makes a good review (I know ’em when I see ’em). I’ve struggled with others, even when I’ve liked the books, but this one was easy; almost wrote itself. Perhaps the key is the quality of the author. You brought us right into the book. Made me want to pick it up and read it! I have loved so many of her books, but I do love Too Much Happiness the most, which is a collection of short stories. She really weaves a tale! I thought of you as I read, Joey, knowing you took great pleasure in her stories. I will get the one you recommend from my library – the title alone makes me want to see what how she uses happiness (or not). Thank you! She had me just on the title of the book! I, too, am unfamiliar with her work, but your review prompts me to check her out! I’m glad you came across a good Annie (I mean Alice Ann). 😀 i was delighted to find her middle name is Ann! Thanks for commenting Janis. You might check out the collection Joey mentioned; she’s read more of Munro’s work than I have. Probably all are worthwhile. Thank you, Susan. She looks like such a delightful woman, nit to mentioned skilled craftswoman! I’ve never read any of Alice Munro’s work but this sounds like something I’d love to read. Thanks, Sammy. Great post! Thank you for being here, Carol! I discovered her work lately and love most of her stories. It’s interesting that she wrote short stories to practice for a novel and that she ended up writing short stories for the rest of her writing life. She is a talented writer and her talent is to use what she knows. In appearance simple work but so complex when you start to do the same. Great tribute, Sammy. Thank you, Evelyne. I agree; I think short stories in general are the hardest form of fiction, and the lack of ‘pop’ in Alice’s style makes the craft itself even more critical. She has a lot to teach those who aspire to that style. I’ve not read Munro, and probably won’t, but your review is lovely and enticing. I am looking forward to your thoughts on Annie Proulx. I still have a story of hers I clipped years ago from “The New Yorker.” She has a bit of an edge, which I like. In the magazine, her work was paired with part of a photo taken by famous Nebraska photographer Solomon Butcher, another of my favorites. It was this photo, cropped to show the sister on the left, with her horse. Good stuff. What a fabulous photo! Thank you. I don’t know that photographer but will certainly be looking him up. Proulx’s collection Close Range ( not the one I’m currently reading) included images of paintings by Denver artist William Mathews who is one of my favorites – oils specializing in western ranch scenes and Nebraska plains. They fit Proulx’s stories perfectly. Thanks again for the photo and photographer! Soulful humming…what an amazing phrase. Love it. Thank you for introducing me to another author. Sammy, I think I need to read more Munro. I have read a little and been impressed, but I never SEEK OUT her work to read. What an idiot I’ve been!! Thank you for this. Thank you, Luanne. We just have to many literary choices!